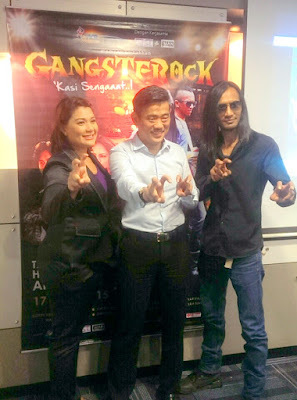 'Kasi Sengaaat' your Hari Raya this year with "Gangsterock"!!! This coming Hari Raya, fans of local musical comedies should not miss the chance to watch the movie "Gangsterock". The RM 1.5 million musical comedy, which began filming last year on 11th January 2014, will be making its big screen debut on 17th July 2015, has been conceptualized, written, directed and scripted by experienced actor Soffi Jikan. It stars Soffi himself in the lead role , alongside well-known actors Khir Rahman, Izara Aishah, Saiful Apek and Sharifah Amani. This movie is about Shake (Soffi), an aspiring rock star who tries to get fellow rockers in Kuala Lumpur together to overcome obstacles posed by gangsters who are involved in music piracy. Despite being his first full length directorial debut, Soffi is no stranger to the role, having directed several shorts and telemovies. Sypnosis: Shake (Soffi Jikan) an aspiring musician tries his luck in Kuala Lumpur to establish himself as a rock star. He hooks up with Bromo (Saiful Apek) who wants to help him. Unfortunately, there are gangsters in Kuala Lumpur who are determined control the music distribution trade with music piracy, and eliminate any remaining opposition from rockers. Only with true rock spirit can the rockers unite against the cruelty and find a way out. Can they succeed coming together? YKS Film Maker Sdn Bhd is a collaborative effort that was established five years ago by two entertainment industry personalities – drama & film director Yusof Kelana and actor & host Serina Datuk Redzuawan, who combined their collective experience and pooled their own funds to make an impact in the local entertainment industry. The company has produced a variety of entertainment programs for television. YKS Film Maker Sdn Bhd is confident in their ability to produce quality Malay films. The budding film makers hope to bring some difference to the local film genre and with the hope that our local Malay films will gain more attention among local film goers and develop more followers...as well as priding Gangsterock as the first movie with a change that will also pay out royalties to the leading cast. 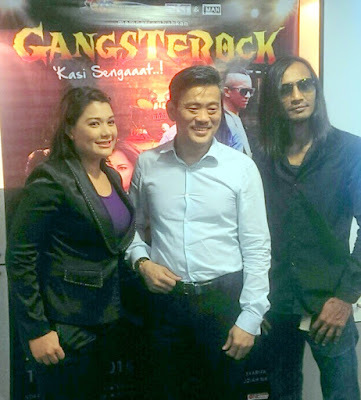 Serina Datuk Redzuan & Soffi Jikan are the executive producers of this highly anticipated movie, while Dato’ Sri Gavin Tee is the co-producer. 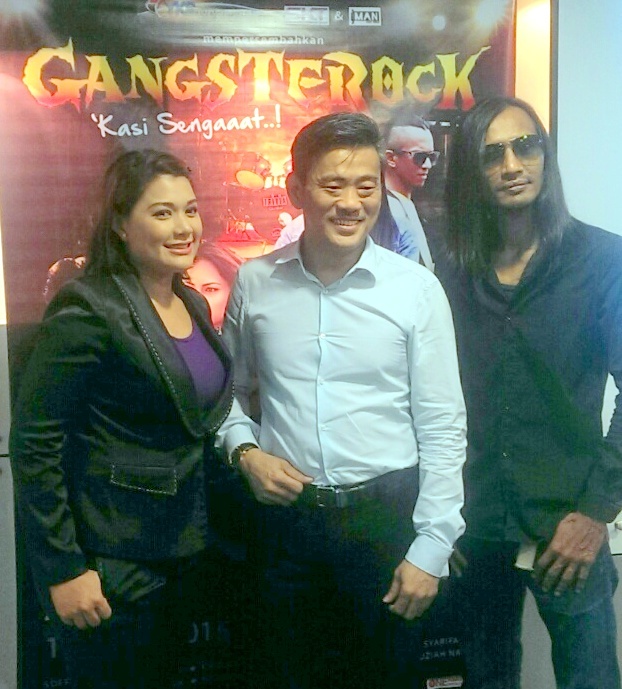 In conjunction with the movie, “Gangsterock – Kasi Sengaat”, an original soundtrack (OST) album that will feature the original theme song “Gangsterock Style” as well as other new compositions by Edry Hashim will also be released. The theme song is sung by Soffi Jikan. More information and regular updates on Gangsterock can be found at https://www.facebook.com/MyRexFilm. Among the official sponsors of Gangsterock are King of Rims (http://kingofrims.com.my/) and Hotel De Art (http://www.hoteldeart.com.my/).